Elgar's symphonies have hardly been neglected at the BBC Proms and elsewhere. As an example, the Second Symphony has been played 37 times at the Proms, with two of those performances in the last three years; while the First has been given 51 times, including two performances in the last two years. So it is puzzling as to why the social networks are behaving as though Daniel Barenboim and the Staatskapelle Berlin brought two undiscovered masterpieces to the Albert Hall, and it is doubly puzzling because his interpretations were passionate but hardly revelatory. Yes, it is noteworthy that this was Elgar from a foreign orchestra. But in 2008 Roger Norrington and the Stuttgart Radio Symphony Orchestra brought the First Symphony to the Proms. However it is not surprising that this European band's Elgar has been quietly forgotten, as Norrington's flexible tempo and vibrato free account ranks as one of the worst musical abominations I have ever had the misfortune to hear. If you want your Elgar both revelatory and in foreign hands you should try the Romanian Constantin Silvestri's recording for EMI of In the South (Alassio). 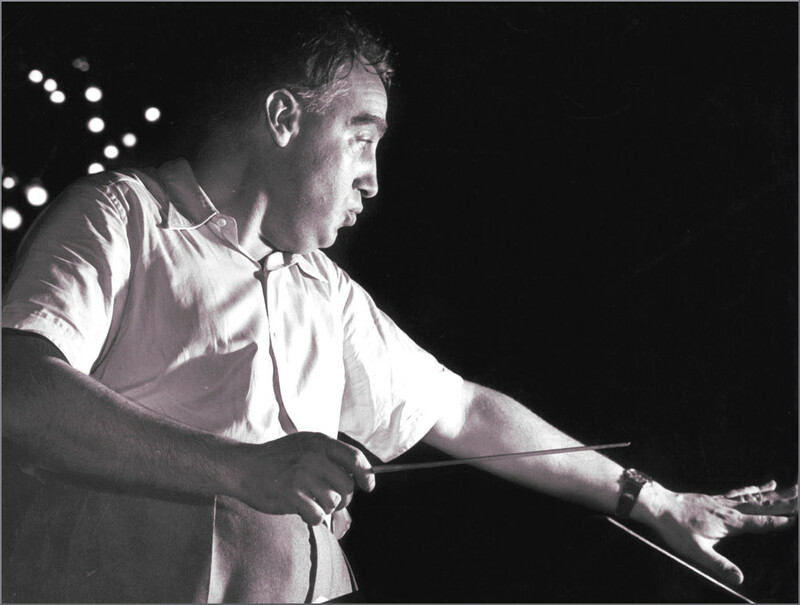 Silvestri, who is seen above, was principal conductor of the Bournemouth Symphony Orchestra (BSO) from 1961 until his tragically early death from cancer in 1969 aged 55. EMI planned to record the Elgar symphonies and possibly The Dream of Gerontius with Silvestri in Bournemouth, but his premature death meant only In the South - recorded in 1967 - was made as a commercial studio recording, although there are transcriptions of BBC broadcasts of the First Symphony and Cockaigne with the BSO. Silvestri's In the South is one of those rare performances that combines ultra-high voltage electricity with respect for the score. In a time when classical music has become no more than a made-for-media pseudo-event it is sad but hardly surprising that Constantin Silvestri's revelatory Elgar is all but forgotten. Silvestri photograph comes via Mon Musée Musical. Any copyrighted material is included as "fair use" for critical analysis only, and will be removed at the request of copyright owner(s). Also on Facebook and Twitter. Would that the Proms could say that any symphony of Bax had been played 37 times, or that any other major English symphonist's works had enjoyed such generous exposure. Perhaps the coughing is symptomatic of mass ennui. John, an analysis of Bax performances at the Proms is illuminating but puzzling. There have in fact been 114 performances of Bax's music, of which 32 were the Symphonies/Symphonic Variations/Symphonic Scherzo, with No 3 receiving 9 performances. (Tintagel has been played 13 times). When I researched those figures a while back I was surprised at the total number of total performances - as a comparison Mahler has featured in 275 Proms, which is only a bit more than twice the frequency of Bax. I haven't researched the dates but Bax must have been played a lot more frequently in the past, and has now slipped from popularity. Most certainly at the present time there is definitely not one Bax work for every two by Mahler! Why was Bax more popular in the past? How can we make his time come again? I'm actually taken aback by the number of Bax performances and by the logical assumption that the overwhelming majority of those were in the distant past. I believe that we can make Bax's time come again by doing it the same way Mahler's presence was established: continuous and unceasing performances by committed advocates no matter the resistance from the establishment. We must remember that there was a time when Mahler, while present, was firmly not part of any canon, establishment, or legacy outlets.